Firmex--provides secure, virtual data rooms, which can be used in a legal corporate environment to manage online due diligence, exchange closing drafts, create digital record books, share litigation documents and secure client access to important files. Mavenlink--provides an online collaborative workspace that allows lawyers to manage a client's case from start to finish, including uploading and collaborating on documents with clients and communicating with clients about their case in a secure, easily viewable environment. In this episode of lawtechTalk, like the last episode, I'm experimenting with a new format. During each screencast and demo, I'll be interviewing a representative from each company. Hopefully this interactivity will make the screencast even more interesting for you, the viewer. 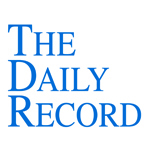 This week's Daily Record column is entitled "My favorite websites and online tools." I'm very excited to announce that I'll be speaking at the ABA TechShow in March. 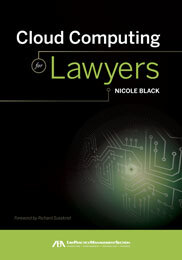 This speaking engagement corresponds with the expected release date of the book I'm writing with Carolyn Elefant, tentatively titled: "Social Media for Lawyers: the New Frontier", which is being published by the American Bar Association. Carolyn and I will also be holding a "meet the author" session on March 25th at 4 p.m. I can't wait to attend and speak at TechShow. If you're going to be there, let me know-- I'd love to connect with you! If you can't make TechShow, you can see my other spring speaking engagements here--maybe we can catch up another time. This week's Daily Record column is entitled "More new iPhone apps for lawyers."